There are 4 images in this category. 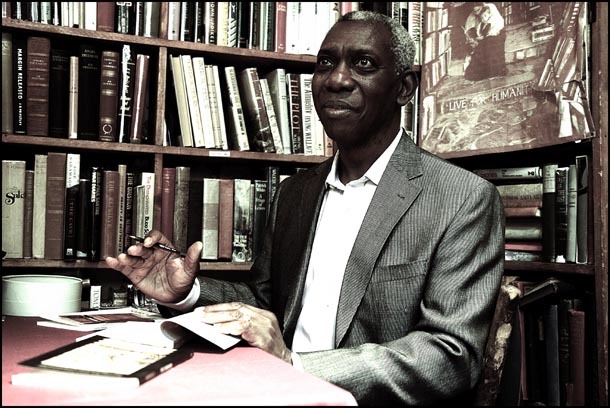 Yusef Komunyakaa is a New York-based Pulitzer Prize-winning poet and performer. Influenced strongly by jazz, blues and folklore, Komunyakaa is author of multiple volumes of poetry, including Pleasure Dome: New & Collected Poems, 1975-1999, Talking Dirty to the Gods, Thieves of Paradise, which was a finalist for the National Book Critics Circle Award, Neon Vernacular: New & Selected Poems 1977-1989, for which he received the Pulitzer Prize and the Kingsley Tufts Poetry Award, Magic City, Dien Cai Dau, which won The Dark Room Poetry Prize, I Apologize for the Eyes in My Head, winner of the San Francisco Poetry Center Award, and Copacetic. He collaborates regularly with other artists in a variety of genres including music, dance and drama to produce groundbreaking performance pieces and is currently a professor in the Creative Writing Program at New York University.